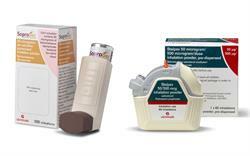 Ofev (nintedanib) provides a targeted treatment option for patients with idiopathic pulmonary fibrosis (IPF). Ofev should be taken with food, swallowed whole with water and should not be chewed or crushed. 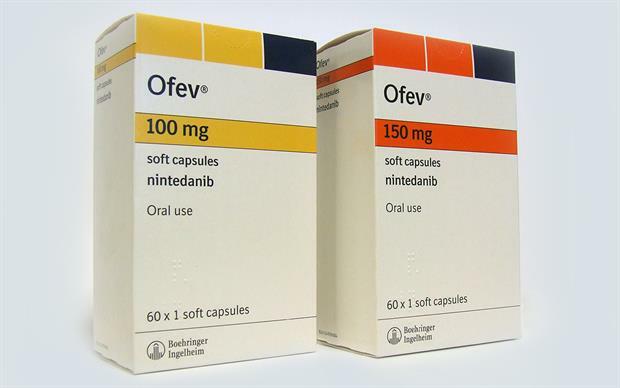 Ofev is a tyrosine kinase inhibitor that competitively binds to platelet-derived growth factor receptors (PDGFR) α and β, fibroblast growth factor receptors (FGFR) 1-3, and vascular endothelial growth factor receptors (VEGFR) 1-3. By blocking these signalling pathways, which are involved in fibroblast proliferation, migration and differentiation, nintedanib slows disease progression and reduces the decline in lung function that occurs in IPF. Ofev is available in 100mg and 150mg soft capsules. Usually, one 150mg capsule is taken twice daily. 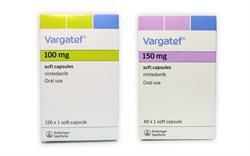 Nintedanib is already available as Vargatef for use in non-small cell lung cancer. 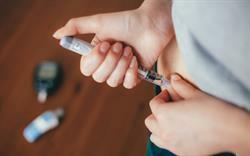 Two identical studies, INPULSIS-1 and INPULSIS-2, were carried out to test the efficacy and safety of nintedanib. A total of 1066 patients were randomly assigned in a 3:2 ratio to be given either nintedanib 150mg or placebo twice daily for 52 weeks. Patients receiving nintedanib experienced a significant reduction in the decline of their forced vital capacity (FVC), the primary endoint. In the pooled results of both studies, the annual rate of FVC decline in patients treated with nintedanib was -113.6ml compared with -223.5ml in patients receiving placebo (difference 109.9ml, 95% CI 75.9–144.0; p<0.0001). Combined analysis of the trials showed that the proportion of responders (patients with an absolute decline in FVC % predicted of no greater than 5%) was significantly higher in the nintedanib group than in the placebo group (53.0% vs 38.8%; odds ratio 1.84, 95% CI 1.43–2.36; p<0.0001). 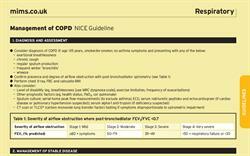 The 5% threshold was chosen as it is indicative of the increased risk of mortality in IPF. Similar results were observed using a 10% threshold for FVC response. The pooled analysis also showed a significant reduction of 40% in the risk of disease progression (defined as a 10% or greater absolute decline in FVC % predicted, or death) among patients treated with nintedanib compared with those who received placebo. In INPULSIS-2, the risk of a first acute IPF exacerbation over 52 weeks was significantly reduced in patients taking nintedanib compared with those receiving placebo (p=0.0050), but there was no difference between the treatment groups for this endpoint in INPULSIS-1. 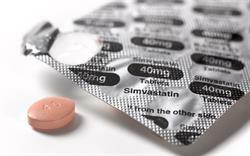 The pooled results for both studies showed a numerically lower risk of exacerbation with nintedanib than placebo, with a hazard ratio of 0.64 (95% CI 0.39–1.05; p=0.0823). The most common adverse effects reported in nintedanib-treated patients were diarrhoea, nausea, abdominal pain and reversible increases in hepatic enzymes.